After 100 years as a local secret, production started on mainland Scotland, and as Drambuie's fame spread it was soon being poured in the finest bars around the world. Today, the legend lives on, embodied in classic cocktails like the Rusty Nail™ and the Drambuie Collins. 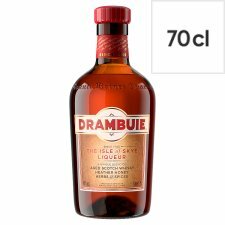 Why not try the Drambuie Collins? A refreshing mix of Drambuie, Soda Water, Lemon and Mint. 25ml Drambuie, Half a Lemon, 8 mint leaves and top with Soda. In 1745 Bonnie Prince Charlie landed on the West Coast of Scotland. Driven by fiery ambition, he was intent on reclaiming the throne of his ancestors, rallying many to his cause. Despite early victories, they were decisively defeated at the Battle of Culloden and Charlie escaped to the Isle of Skye under the protection of the MacKinnon clan. By way of thanks he gifted them the only possession he had left, the recipe to his personal elixir. 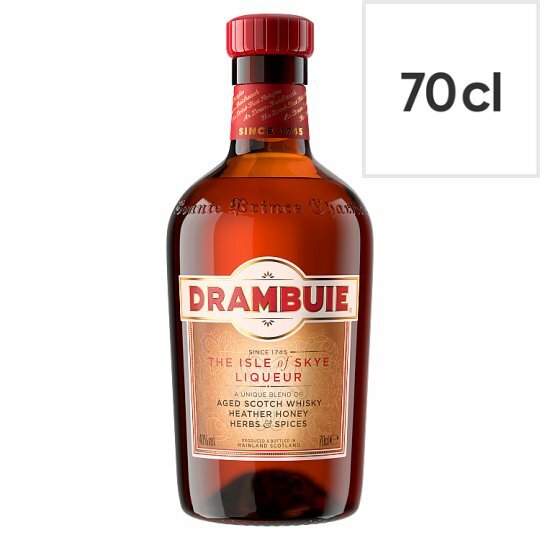 They called it Drambuie, after the Gaelic'An Dram Buidheach' which means The drink that satisfies.